Dishwashing detergent is safe to use when washing a car; however, it is likely to strip waxes and polishes from the vehicle's surface, according to CarWash.com. Cars washed with dishwashing soap should be rewaxed promptly after the wash because of this. 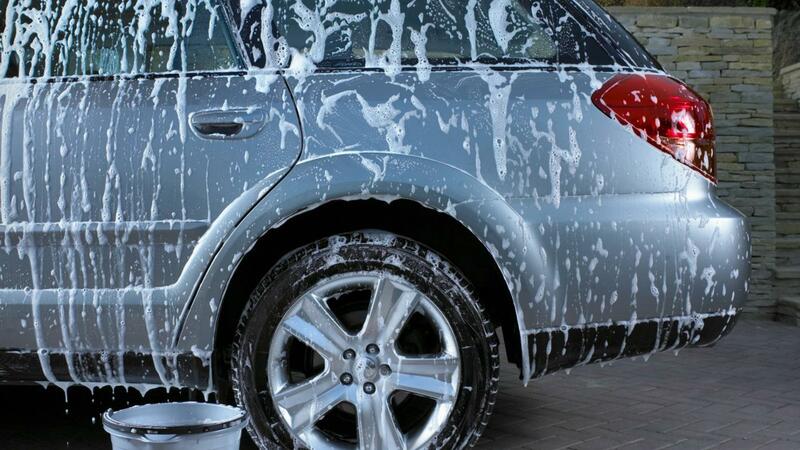 Dishwashing soap foams up more than car wash products and can leave a film behind after rinsing, in addition to stripping the wax from the car. Car wash soap is preferable because it contains specific agents to reduce streaking and spotting as the car dries, as well as lubricants to help loosen the dirt so it slides away easily. What Is the Best Car Wax for a Black Car?